1930-40's - "Tough People during Tough Times"
Often referred to as “The Greatest Generation,” the people of this era had to be tough and resilient. Our nation was trying to recover from a great depression as it got drawn into yet another great war. The US stayed out of the war for more than two years before the bombing of Pearl Harbor, which left the US no choice but to join the war effort. 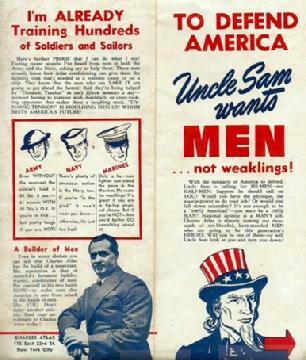 This era beckoned men to, “Be Tough and Stand Proud” and there were plenty of “Strong Men” around to provide assistance. 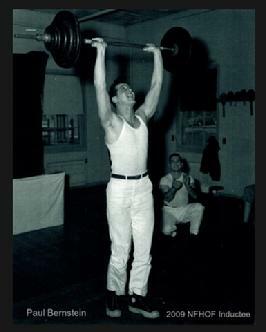 The physical educators of the day provided instruction on how to develop strong and powerful bodies and creating a “He-Man in the Mirror.” Most of these instructions came in the form of booklets which were sold by mail order. George Jowett, Joe Bonomo, Lionel Strongfort, Joe Weider, Ben Weider, Earle Liederman, Bob Hoffman and Charles Atlas were just some of the powerful men who offered these courses. Most of these muscle building programs were very good, however because the mail order competition was so stiff during this era, instructors needed great marketing and advertising strategies for their business to be successful. Take for example, the legendary Charles Atlas, “The World’s Most Perfectly Developed Man” (1893-1972). Prior to 1929, Atlas had the good body, the good program but not good advertising. When Atlas teamed up with Charles P. Roman, a New York advertising man, the sales of Atlas’ programs skyrocketed! The Charles Atlas program of ‘Dynamic Tension” became one of the best-selling muscle-building programs ever…and it is still offered today!